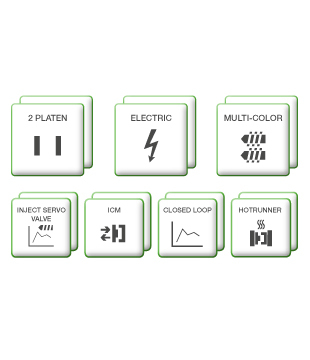 From simple hydraulic injection molding machines up to complex, multi-component systems with robotics for further processing, KePlast controls cover the complete range. Controls of the i1000, i2000 and i8000 series stand out with precision and high productivity, and ensure efficient use of energy. The common software platform and the scalable hardware make their use as flexible as possible. On request, the KePlast system is delivered as an already assembled control cabinet solution. 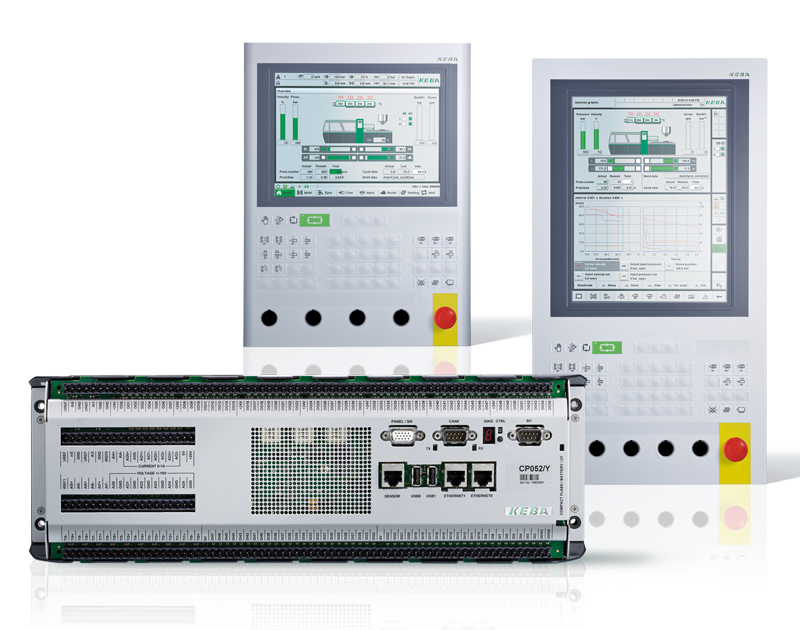 Thanks to its powerful computer core, the KePlast i1000 control system is real-time-capable, thereby enabling a continuously controlled quality of production. Closed-loop injection process including monitoring by means of injection graphic. The hardware of the i2000 series consists of high-performance, single-board computer with scalable performance level. 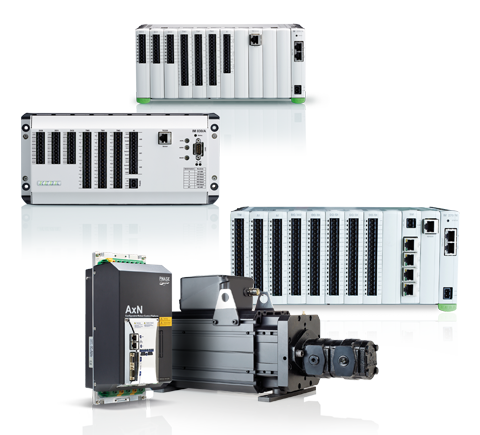 I/O modules or electric drives are coupled via the integrated, high-speed, real-time EtherCAT bus. The control solution of the i8000 series offers the very latest multitouch technologies in combination with top performance. 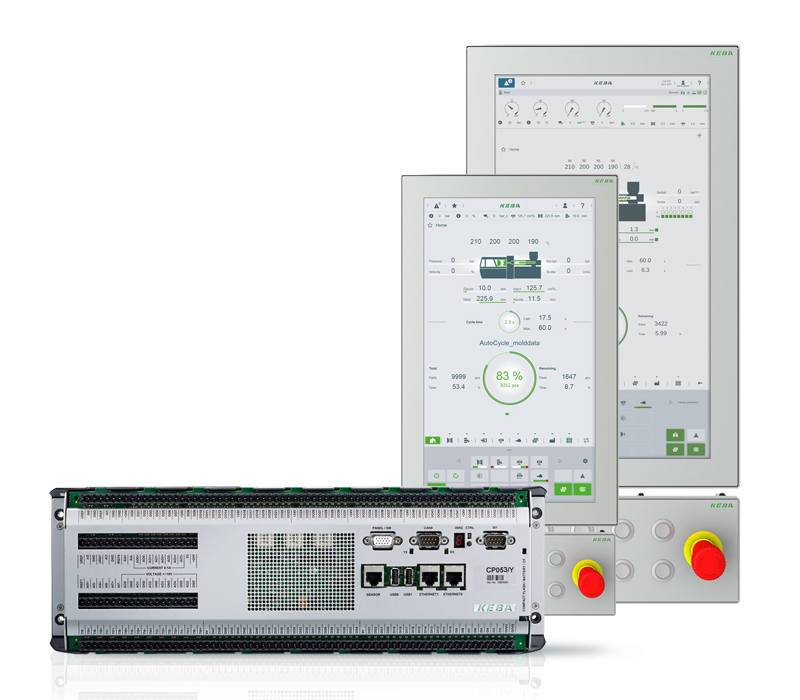 The Linux-based complete package combines state-of-the-art gesture operation with an open control platform and offers maximum individuality. A complete package consisting of a high-dynamic servo drive and a robust, economical hydraulic pump. 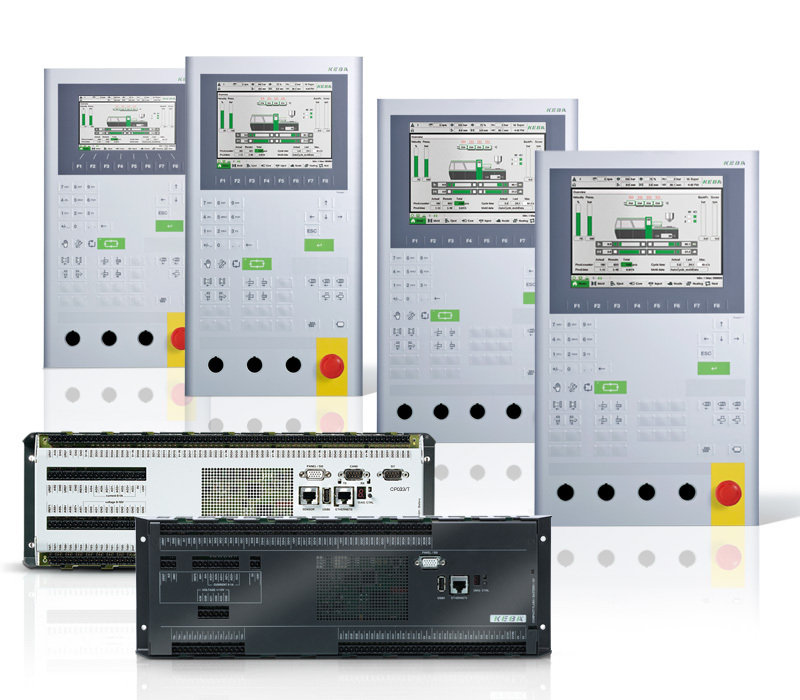 The compact modules for controlling heating zones are specially optimized for the control of hot-runner systems. 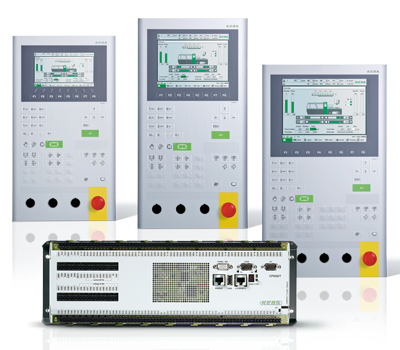 In addition to an extensive range of standard I/O modules, highly optimized modules such as block I/O modules with a large number of I/Os and temperature control modules for hot-runner systems are available. 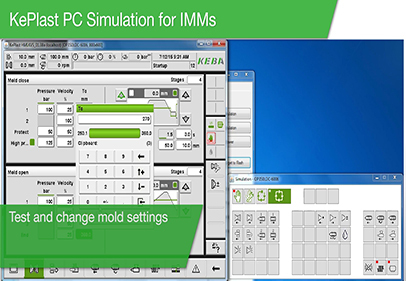 Whether single-board computer or complex modular system, whether for hydraulic, hybrid or all-electric injection molding machines – all KePlast systems are based on a fully scalable control and software platform. 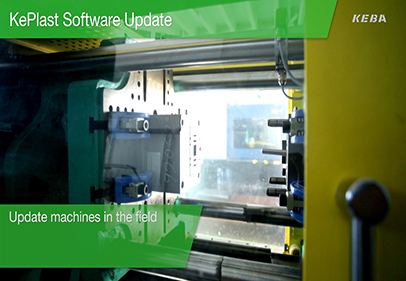 Part of the powerful software framework is the extensive range of technology functions for controlling the injection molding process and for implementing all of the injection molding functions. A wide variety of technology modules, such as servo valve control or control of mold positioning, are available. Highly complex applications can thereby be realized in a very short time. KePlast MachineSequencer is a graphical online programming interface for machine sequences. Its intuitive design allows the sequence program to be adapted quickly and cost-effectively. The sequence of all machine movements is fully flexible. As a result, new tools are ready for use in no time at all. Pre-programmed software elements allow applications to be created quickly. 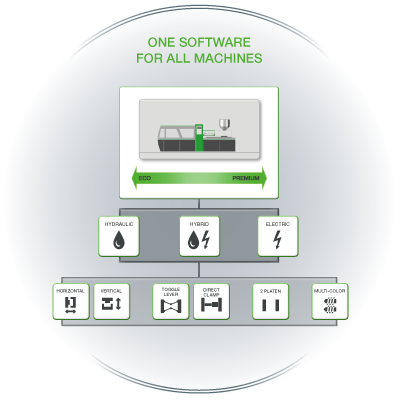 By selecting the machine equipment such as clamping unit, injection unit, ejector or machine options such as core pullers and hot-runner controllers in a predefined query matrix the wizard automatically creates the entire control software in the background. 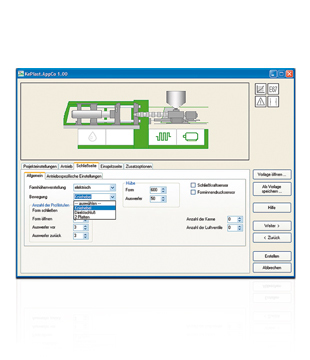 KePlast EasyMold is an interactive software wizard for quickly determining the correct process setting when commissioning a tool and requires no special practical experience by the user. 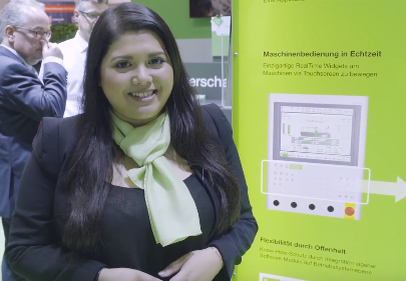 Within a very short time, employees without specialist injection molding know-how can use KePlast EasyMold to commission a tool and find the optimum operating point. 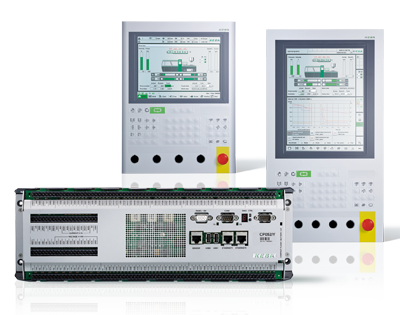 KePlast EasyNet is a simple, user-friendly program to economically network injection molding machines and is ideally suited for central data acquisition and backup. With KePlast EasyNet, you have an overview of your production machines at all times and short reaction times ensure maximum productivity. 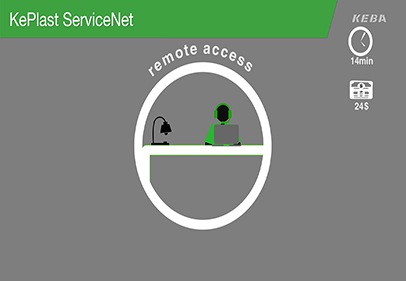 With EasyNet, the production or shift manager can access all machines that are in the network. EasyNet provides, among other things, the production status, the quality data and the productivity data of each individual machine on the control station PC or on a smartphone. In a production hall, one often finds machines from a variety of manufacturers. 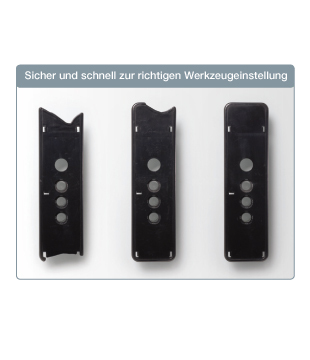 With the optional EasyNet AccessBox extension, machines that are not controlled with a KePlast control can be integrated in the EasyNet network. 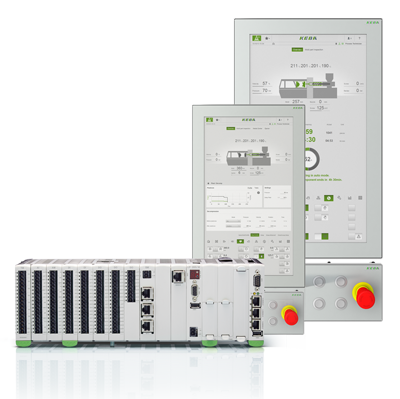 KePlast EasyNet Mobile is an extension of the Easy-Net control station software for making the data available for mobile end devices. Important characteristic values such as current cycle time, scrap rate and utilization rate are available on the mobile end device. 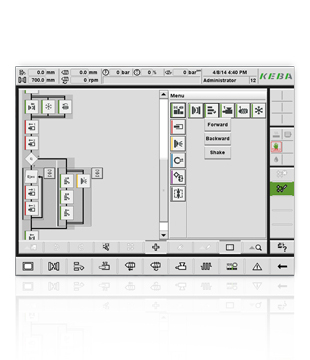 Service technicians from KEBA as well as machine manufacturers can use a user-friendly software tool to quickly and comfortably process incoming support requests. At the click of the mouse, a secure connection is established with the respective injection molding machine and the technician on-site. Fast, worldwide access to process data for service and support as well as simple remote diagnosis are as easy and uncomplicated as the convenient support of the operating personnel during application and process queries. No intervention in the IT network, firewall or Internet connection of the respective company is needed to set up a secure and fast ServiceNet connection. Communication takes place via a completely autonomous, direct UMTS/HSPA modem connection (3G) by means of a secure VPN tunnel. Service can be performed independent of location – whether in the service headquarters of the machine manufacturer or on-site during a service call.